Should I Seek Medical Care Using My Health Insurance After A Work Injury? | Pothitakis Law Firm, P.C. Should I Seek Medical Care Using My Health Insurance After A Work Injury? One of the most important steps to take after a work injury is to seek medical care. Failing to obtain appropriate, timely treatment can negatively affect your health and your life for years to come. Additionally, it can be very difficult to successfully pursue a workers’ compensation claim for an injury that was never treated by a doctor.There are a number of reasons why a worker would not seek care, including worries about medical bills, pressure from an employer, or a misunderstanding of the severity of the injury. These issues can be addressed, however, and Iowa workers should seek treatment for any work-related injury as soon as possible. So, how exactly should they go about finding care? And what should you do if your employer tells you to use your health insurance to obtain that care? In the state of Iowa, employers have a number of rights and responsibilities after an employee is injured at work. Employers are required to provide care for a worker who is injured on the job under their employment regardless of fault. Most employers must carry workers’ compensation insurance and use that insurance to provide medical care and wage replacement benefits for injured workers. However, employers are allowed to direct the care. They may choose the provider, and they do not have to pay if an employee chooses to seek treatment outside the approved providers. Typically, an employer will provide an injured employee with a list of certified doctors, and the employee may select from that group. 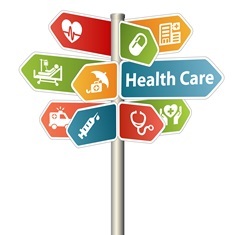 Private health insurance companies have their own responsibilities to those they insure. They, too, must provide care for injuries. However, because of the existence of the workers’ compensation system, health insurance does not have to cover injuries that occur as a result of employment conditions. They also do not offer wage replacement benefits. Providers and insurance company representatives will inquire as to how the injury occurred. If an individual uses his health insurance for the treatment of a work-related injury, the health insurance company has a right to (and likely will) deny the claim. Additionally, lying about the cause of the injury to protect an employer or avoid the workers’ compensation system could constitute insurance fraud, which is a criminal offense. How Does an Injured Worker Know Which Insurance to Use? The worker is an employee of the company. The employer is required to carry workers’ compensation insurance or be self-insured. (Only a small number of employers are exempt from this mandate in Iowa). Typically, if all these criteria are met, a workers’ compensation claim should move forward through the employer rather than health insurance. Though, every situation is unique, and any number of other factors could influence your circumstances. If you or someone you love has suffered an injury at work, call our office nearest you to learn more about what we do and schedule a free, no-obligation consultation. Next PostNext What Can I Do If My Workers’ Compensation Claim Is Denied?